In an interview with Bloomberg on Wednesday, February 13, Anwar Ibrahim said that he expects to take over from Prime Minister Dr. Tun Mahathir Mohammad in less than two years. However, he emphasized that it is important to allow Mahathir important time to govern effectively before this occurs. In last year’s General Election, one of Mahathir’s campaign promises was to step down and let Anwar govern when he was pardoned. Anwar received his pardon one week before the opposition coalition surprised the nation by winning the elections in May. After the pardon, Mahathir said he would step aside for Anwar in one two two years, to which Anwar agreed since he said he wanted to spend time with his family, as well as travel after he had been in prison for three years. In the meantime, Mahathir has been hard at work combating corruption in the country, especially getting to the bottom of the multi-billion dollar 1MDB scandal, before giving way to Anwar. The unity between Anwar and Mahathir may come as a surprise to some, since the two have a long history of being on opposite sides. Anwar had been Mahathir’s deputy but had been fired in 1998. 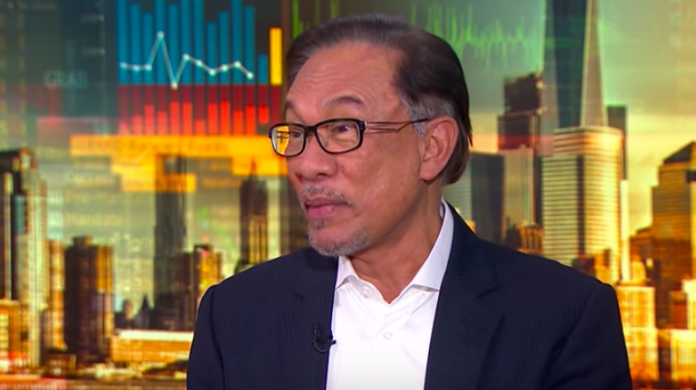 At present, Anwar is a Member of Parliament, sits in the ruling Pakatan Harapan’s presidential council, and is the chairman of a parliamentary caucus for reform and governance. Anwar has been publicly supportive of Mahathir and acknowledges that cooperation between them is for the greater good. “Dr Mahathir has also shown that he is prepared to take the blows when before the elections. They (BN) went after him hard. He was also committed to some of the reform agenda. We gave him the support because of his support for the reform agenda.